Salesforce streamlined Dreamforce 18 and put the emphasis on making the most of its extensive platform. Here’s how customers stand to benefit. Salesforce is not one platform today; it’s really a collection of multiple platforms, including the core Salesforce/Lightning platform plus Commerce Cloud, Marketing Cloud, Heroku and more. Customer 360 is an effort to make it easier to reconcile customer identities across the total Salesforce ecosystem. It’s not a data warehouse or master data management system and it won’t be moving or copying data. Rather it will be a hub-and-spoke set of microservices designed for identity resolution and change data capture. The promise is that Salesforce users will be able to resolve and maintain accurate customer identities – across Salesforce and connected external systems — even as customers change addresses, phone numbers, employers and married names. The bad news is that Customer 360 won’t be available until the second half of next year. The good news is that it will be an included, no-extra-cost part of the platform once it does arrive. 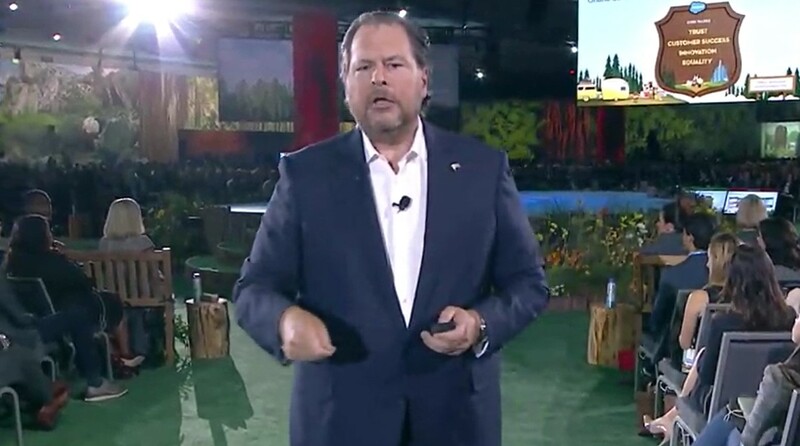 MyPOV on Customer 360 and MuleSoft: With its many acquisitions over the years, Salesforce has become a collection of platforms, and customers have increasingly struggled to resolve customer identities across Salesforce clouds (the Customer 360 role) and connect application functionality and data (the MuleSoft role). Thus, both of these moves were good choices if not overdue. As for MuleSoft, Salesforce executives shared a clear roadmap on how they’re planning to better integrate MuleSoft with Salesforce while also maintaining the vendor’s stand-alone appeal to non-Salesforce customers. The key to making MuleSoft more accessible within Salesforce will be developing simplified interfaces for Salesforce admins who are not data-integration professionals. Salesforce user-interface developers are already working with MuleSoft to do just that. A new “Plus” offering blends the descriptive and diagnostic capabilities of Einstein Analytics with Einstein Discovery. MyPOV on Einstein updates: Salesforce will initially use the speech-to-text capabilities native to Amazon, Apple and Google/Android phones and smart speakers at the front end of Einstein Voice interactions, but it’s also working on its own natural language processing capabilities. Identifying entities (people, companies, accounts, etc.) and deciphering the intent of questions and requests is the more challenging part handled by Einstein Voice. But when sensitive information such as account numbers might be involved, regulated institutions will demand a closed, Salesforce-only environment — including the speech-to-text – without exposure to public services. On the blending of Einstein Analytics and Discovery, this is a welcome step and I really liked the vision of a holistic, “intelligent experience” (shown above) that Salesforce presented. Salesforce isn’t trying to sell Einstein Analytics to a handful of analysts who will build dashboards and reports for everybody else; it’s trying to deliver embedded analytics and smart capabilities to every CRM user.